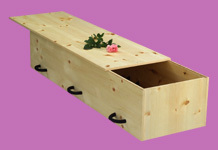 Every person on earth will at some time have to decide whether they want to be buried or cremated. In my experience, many will have strong feelings about this subject. For many millions of people, their religious beliefs will be a huge influence in their decision. 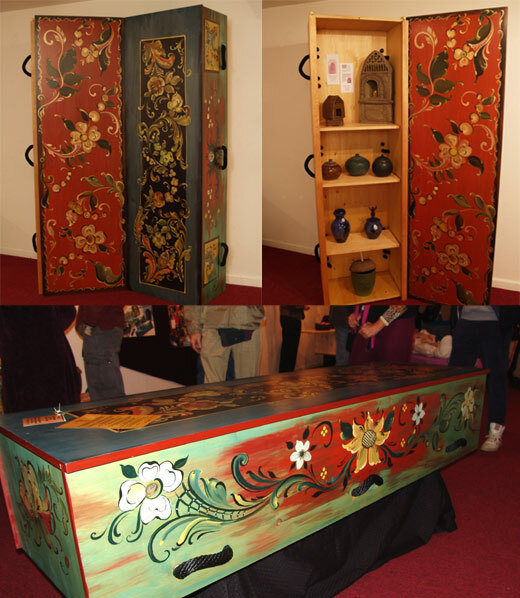 Funeral homes have rules they must follow – and one of them is there can be no metal in caskets used for cremation. That means no nails, screws, metal staples or brass handles on cremation caskets. 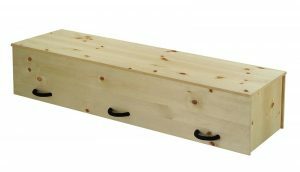 If cremation is what you want and you prefer a cremation casket rather than a cardboard box, the Ark Wood Casket kit is perfect. We use no metal of any kind. Our handles are made from thick rope that is easy on the hands, and that looks dignified. Our hardwood doweling system is strong. The dowels come with the glue dried right onto them. With one drop of water in the dowel hole, a tap on the dowel and the boards can be joined together. Do you live on a ranch, farm, a few acres, or large lot and want to bury a loved one on that property? In many cases you can do so legally, but you’ll need to make sure that you follow the rules regarding burial on private property. Each state and even counties have rules for burial on private property. The best place to learn about the laws that apply in your specific case is by contacting your local County Clerk to learn which local ordinances you will need to abide by. I have found most states have similar requirements that must be followed. When someone passes, there is, as with most things, necessary paperwork to be filled out and filed. This includes things like verifying the final disposition, a death certificate with the appropriate signatures, a few more details, and finally a timely return to the State Registrar. If you’re burying a loved one on private property, more of these requirements will fall on you, but it is not impossible or out of the realm of possibility. Be sure to check your state and county ordinances to get a complete and accurate list of the requirements for burial on private property as well as the necessary paperwork requirements. 100 feet from a well used for water supply. 100 feet from a spring used for a water supply. 50 feet from a stream, river or lake. 25 feet from the property line. With a large enough piece of property, these requirements are not onerous or difficult to meet. It is likely that the requirements for your State and County also are not overly restrictive. And having a loved one close or located in a spot with special meaning on your property, sometimes is exactly the right place for them to be.